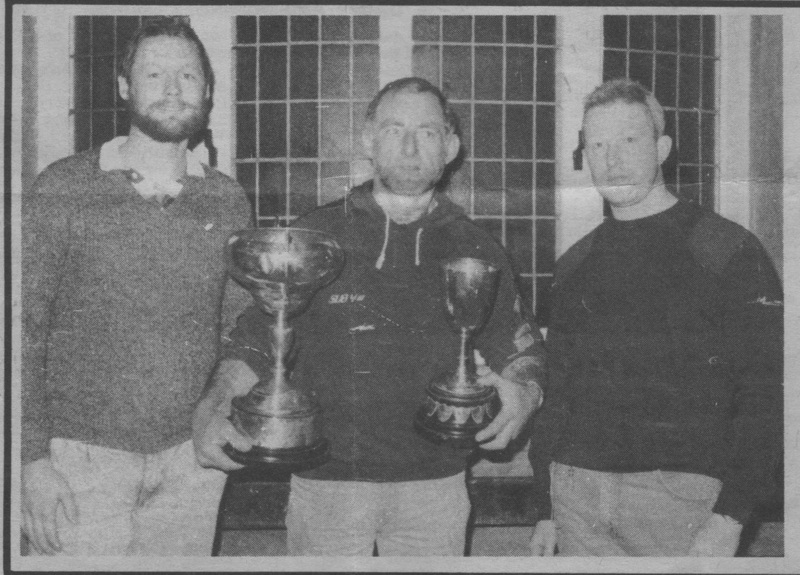 The Whitby Sea Anglers Open Competition, sponsored by Blue Star Angling Supplies attracted 121 anglers. 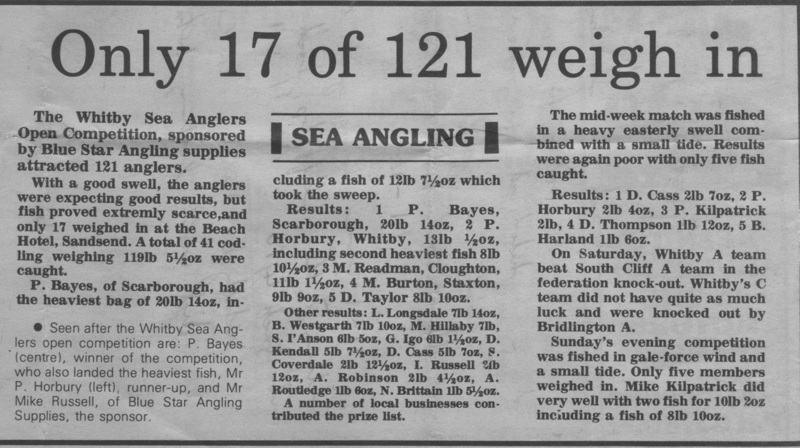 With a good swell, the anglers were expecting good results, but fish proved extremely scarce, and only 17 weighed-in at the beach Hotel, Sandsend. A total of 41 codling weighing 119 lb 05½ oz were caught. Pete Bayes, of Scarborough, had the heaviest bag 20 lb 14 oz, including a fish of 12 lb 07½ oz which took the sweep.